There don’t seem to be any normal, standard, routine weeks at the moment. There’s always something going on. This week, we had Jim and Robyn’s birthday. It’s on the same day, 6 weeks before Christmas. It’s an expensive time for me! We normally go out for dinner, but this year I wanted to invite Jim’s parents round for a big meal. It’s the first time that we’ve really had the space or a house nice enough to cook for people and it was lovely. I also made my first proper, iced and decorated birthday cake. Robyn wanted sprinkles, pink and unicorns so that’s what she got. I’ve never been tremendously good at cakes, and I’m not neat and tidy enough to be a good decorator, but it went surprisingly well and tasted amazing. I was quite proud. I think I might keep practicing and try some other designs. Michael is already asking for a Minecraft cake for his birthday, and I think I might knock up a chocolate one for poor Jim who always misses out slightly by having his birthday on the same day as his daughter. Apart from birthdays, we’ve had a poorly Robyn, and a nice date afternoon trip to the cinema for me and Jim on Friday. Food wise, it’s been interesting. So on Sunday, I’d planned a roast chicken dinner. But, Robyn had been really ill with a chest infection, and husband had been working all weekend so we were all super tired. 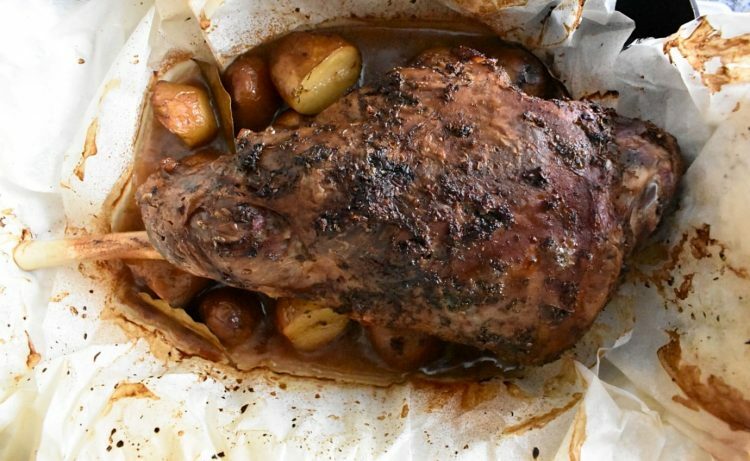 I love a Sunday roast, but the idea of spending hours cooking it, when none of us really fancy eating it just didn’t appeal. So the kids had some sandwiches, crisps and fruit and we had cheese on toast ad a pork pie. We all really enjoyed it, and were much happier for an easy evening. This did however mean that there was a chicken that needed eating. So the cottage pie that I’d planned was shelved, the mince was put in the freezer, and husband picked up a bag of chips from the chippy on his way home. We had roast chicken, chips, coleslaw and bread and butter. Yummy! Our big birthday dinner! Husband’s request. We’ve started a slightly weird Wetherspoons breakfast birthday tradition. It was a shock to realise that they’ll only be one more birthday before Robyn is at school and there’s just two of us. So, we didn’t have lunch. I made flatbreads and salad to go with the lamb, which was cooked with baby potatoes, it was yummy. Then birthday cake for pudding, which is always a win. Beef meatballs with pasta and tomato sauce. Always a kids favourite. I love making soup, and big chunky loaves to go with them. Parsnip and apple is one of my favourites, and there’s about 1000 apples from our tree in the freezer. Stir fry is one of those meals that we eat all of the time. This week we had lots of veg after my failed Sunday roast. Stir fried sprouts, cabbage and carrots are awesome. I must confess that I bought a ready made hoisin sauce. Home cooking is great, but sometimes, convenience and keeping everyone happy is better. Saturday was meant to be a leftovers day, but I hadn’t made Monday’s cottage pie, and leftovers had been enjoyed for lunch (especially that lamb!) so cottage pie Saturday it was. Cottage pie is actually a big Saturday favourite in the colder weather. I do make this from scratch, but it’s super simple and filled with flavour. We all eat loads of it.